Is Ahmadinejad provoking a strike on Iran? Just days after President Barack Obama voiced willingness to talk to Iran, Iranian President Mahmoud Ahmadinejad claimed 9/11 had been trumped up as an excuse for the United States to invade Afghanistan and Iraq. If necessary, could the Saudis, again, in the interest of the world succeed in making Teheran opt for peace? He said there was no evidence that the death toll at New York’s World Trade Center, destroyed in the attacks, was as high as reported. “They created and prepared public opinion so that everyone considered an attack on Afghanistan and Iraq as (their) right,” he said in a televised speech. No “Zionists” were killed in the World Trade Center, according to him, because “one day earlier they were told not go to their workplace.” That there is a published list of Sept. 11 dead from more than 90 countries available online, was conveniently ignored. Ahmadinejad accused the US government of exercising more media censorship than anywhere in the world. And, again, talked about the Holocaust never happening. Obviously having a go at Israel again. The Iranian president leaves a lot to be desired but no matter how much we disapprove of him he is not an idiot. If he was, he wouldn’t have succeeded to get elected the first time (unlike the last election which was obviously rigged). He knows what he is doing and he has the Mullahs approval. Considering that Iranian elections are rigged they don’t need to show Iranians that he is capable of standing up to the West. They already know that. What does the Iranian regime gain from sable rattling? Begs the question of why they keep on provoking Israel and the US with his statements? Maybe the timing is not a coincidence since only 50,000 US soldiers will soon be left in Iraq? The current Israeli government is also more likely to be provoked to strike Iran than the previous one. Maybe he and the Mullahs would like that to happen to give them an excuse to strike back? Or worse, start a war with Iraq that could lead to an all out war in the Middle East? The Mullahs would love to control Makkah and Medina and Iran has caused trouble there in the past which the Saudis luckily managed to handle. Tehran says it is refining uranium only for electricity and medical treatments. But it’s not out of the question that they already have been supplied with enough uranium for a few missiles from North Korea or Pakistan? Whatever their reason they are hiding something when it comes to their nuclear capacity. Iran has already caused enough problems in Iraq, Lebanon, Palestine and Afghanistan. That the current regime would like to be more prominent in the Middle East is no secret. So is Ahmadinejad, just like he accused the US of doing, trumping up an excuse to invade Iraq or attack Israel? After all the best thing an unpopular regime can do is unite the people behind an outside enemy. Doubt that Teheran would attack Iraq unless the US were involved in a strike against them. But then again Israel would be using US equipment and that might be enough of a provocation?Do believe that it’s questionable if the Iranian regime would dare to attack Israel or Iraq without having an excuse to do so. So hopefully no strike on Iran will take place? Saudi Arabia and the other Gulf states have for years been worried about Iran’s behavior because a strike against Iranian nuclear sites would spread radiation across the whole region. Or worse lead to an all out war in the Gulf between Shias and Sunnis. Don’t need to tell you what that would do not only to the region but the world economy. So maybe it’s time for the Saudis to, again, make Teheran opt for peace? 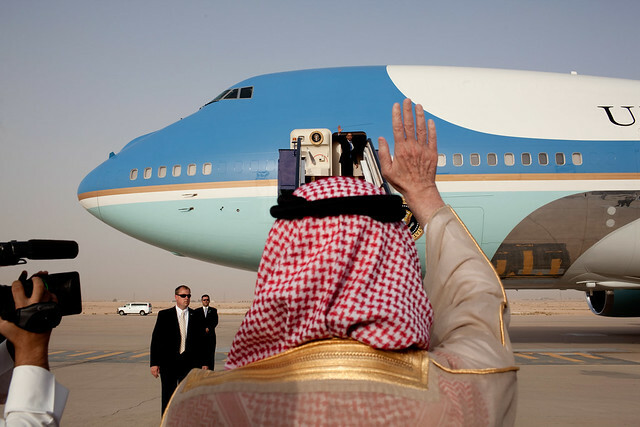 King Abdullah sent Prince Bandar to Teheran in 2006. The result was that Teheran ordered Hezbollah to stop fighting Israel in Lebanon, which effectively ended that war. Considering King Abdullah’s effort recently regarding Lebanon, maybe it’s no coincidence that the Hezbollah isn’t yet playing an active part in the border incidents? When it comes to Iran the US, Saudi Arabia, Israel and, most likely, the majority of the Iranian population are on the same side. Actually most of the citizens of the world is. If we all need to unite against Ahmadinejad and the Mullhas probably depends on how badly the Mullas and Ahmadinejad need to unite the Iranians against an outside enemy. Hopefully it will not come to that, but if it does it wouldn’t be the first time the West has been wrong about Iranian intentions. America China – The Power is Moving! G20 – Unlocking the benefits of the world economy? I guess my one comment bounced over you, its not visible in here. Since ages Israel has been attacking its neighbors, what if it was Iran attacking its neighbors or Gaza, Palestine & Lebanon, would the world, US, UN would have ignored as they are ignoring Israel attacks? This Answer will answer most of the global difference of views and opinion for Israel & Iran. Why Israel favored so much, and why Iran always on top target, Israel has been doing open terrorism in the name of defense, killing civilians kids and women. Why so much difference of views and opinion? Is it not possible that it's not a war that Ahmadinijad is pushing for, but general instability that will push the oil price up. Iran's cost of production is considerably higher than that of the Gulf states and the general view is that they need a price of $95 per barrel to cover costs, etc., and be able to bank some profit. Iran simply can't afford the current oil price and this is adding to the strain on the fiscus. I believe this is what's behind it. Iran neither wants, nor can afford, a war. What they need is a higher oil price (and, of course, the Gulf states know that a lower price also puts pressure on Iran, so they want to keep it low). Iran definitely is a beautiful country. You should read the biography by Iranian intellectual Azar Nafizi. "Things I've been silent about" gives you a very good insight into Iranian society, how they all believed Khomeini was different than he was and what the situation is there now. Confirms what the people I know tell me. Am sure you would enjoy it. Hello Yaat, yes I agree with you a war will most likely happen. Iran wants it and Israel will strike when they feel threatened. They did it in Iraq a long time ago when they thought Saddam had nukes and will do it again. I don't beleive what I read in the news. Have a long background in media and know how it works. Besides, who ones the media in this world…. From what I understand from Iranians I know you are wrong about Ahmadinejads support. People vote for him since the punishment against them or their family if they don't is terrible. Iran is present in Lebanon in the form of Hezbollah. And in Palestine Hamas. Hamas was created by the Israelis to counter the PLO but then it turned against them and got Iranian backing. The bottom line is King Abdullah of Saudi Arabia understands the problem and is hence mediating again which may be the reason Hezbollah has not taken part in the recent trouble at the border. Sincerely hope that Israel doesn't attack since all hell will break lose if the do. Whatever Ahmadinejad says or does, Iran refining uranium for electricity or power, world and America should bother less about it, and should bother much about what Israel has been doing with Palestine & Lebanon. Iraq was accused of having weapons of mass destruction, US spy reported that Iraq has chemical weapons, after attacking Iraq nothing was found, not even a chemical bullet, BUT, everyone saw Israel using chemical missiles, bombs and weapons in Gaza, Palestine and Lebanon, Please see the below links. One country not only having the chemical weapons in its pockets but they are also using it openly, and world is ignoring it, and bothering about what Ahmadinejad is saying. Ahmadinejad wonders why, in the name of the freedom of expression, cartoons of Mohammed can be published, while it is against the law in several European countries to question or make fun of the Nazi genocide. Everything which is against Israel is harmful and wrong and whatever done against Muslims or Islams can be ignored or is ignored, and even Human Right has no right to take any action against it. Whats the criteria to identify criminal, terrorist or terrorist country? or does it changes by country to country? Whatever Israel does is for self defense and whatever a Muslim country does is a terrorism or move to attack other. Abu Ghraib torture, and torture in Israel prisons is legitimate, there should be no action taken, in the case of Aby Ghraib only 3 military officers were punished, The techniques, approved by Defense Secretary Donald H. Rumsfeld is far from being questioned. Do you think this is the right tactics played by America and UN or Human Rights. Agree with you Monica, and have since I was a teenager. Have also worked with international relations for 20 years as well as lived and worked in Saudi Arabia, Kuwait and the United Arab Emirates. A friend of mine who is a director of a known humanitarian organisation, put it like this "the only difference between Israel and Nazi Germany are the concentration camps". Rich and powerful Palestinians though (they are no longer there) do absolutely nothing for the Palestinians. Only King Abdullah of Saudi Arabia and King Abdullah or Jordan are making an effort. Apart from that nobody really. Israel controls the US and that's what makes what's going on possible. Ahmadinejad and the Mullas in Iran are hence a problem when it comes to maintaining peace in the Persian Gulf. Don't need to tell you what would happen to the world economy if war between Shias and Sunnis start do I? By the way, hope you dont' believe the regime in Iran are nice guys since they certainly are not. Bush senior understood that Iran was a bigger problem than Saddam and hence left Saddam in power after the first Gulf war. And as long as he was the Iranians were careful since they believed Iraq had nuclear power. Don't get me wrong, I'm no friend of Saddam and his regime. But they were the lesser evil. Bush junior however decided to get rid of Saddam,and now Ahmadinejad and the Mullahs have become a new "Saddam". It's even possible that they are immitating his strategy of making the world believe they have nuclear power even though they don't,just to provoke the Israelis to strike them. So let's hope Israel doesn't attack Iran since all hell will break lose. Most likely King Abdullah of Saudi Arabia is in best position to make sure that doesn't happen by mediating through diplomacy. Sincerely hopes he succeeds. He has so far. In case you don't know, he really deserves the Nobel Peace Price but there is no way the Norwegian Peace Prize committee will give that to him simply because he is Saudi Arabian. Iranian intellectual Azar Nafizi 's autobiography "Things I've been silent about" is a fantastic book that will show you what life is like inside Iran. I highly recommend it. I agree with a. giovanoli … no double standard … Iran is on the long road to have atomic weapon, while Israel already have arsenal aince the 60s and actually an exporter, they sold to S.Africa war heads in the 70s…..the pint is not to let Iran join the club, the point is to close the club, let the region nuke free, let Israel surrender "simson project" which is aimed on literally destroying the planet if Israel was destroyed….moshe dayan once said: "Israel should be a mad dog, too dangerous to be bothered"……. is this why Israel/US will attack Iran?….Do they care about Saudi/Kuwait or their own interest? How about Israel nukes are threats to the region?…or your argument is about we should trust the Israeli wisdom that they would never use, but Iran will….? Yaat, I agree with you 100% about Israel's nuclear weapons. The world has double standards and it's completely wrong. In fact a lot of people are being killed as a result. Unfortunately no US administration will again go after Israel. Bush senior did and hence wasn't re-elected. Israel controls the US and the double standards are a result of that. Yaat, what would happen if Israel attacked a nuclear facility in Iran? Radiation would spread all over the region and kill people in Kuwait, Saudi Arabia and so forth. Not to mention the prospect of a broader war in the region as a result. Between Shias and Sunnis most likely. Imagine what that would do to the world economy. That's the reason Saudi Arabia is carrying out quiet diplomacy to keep peace. The US cares about Saudi, Kuwait etc for economic reasons. Israel does not. It only cares about its security. And make no bones about it, if they have intelligence, correct or faulty, that Iran has nuclear arms they will attack. The global recession we just had will look like a dream compared to what will happen then. I had read before that the west supported Iran to counter Iraq. What is interesting is that here we are not hearing a lot about Iran at the moment which in some ways is a worry. The focus seems to be Pakistan. Shoud Pakistan fail or implode, then the issues on religion philosopy will really be worrysome and we will probably remeber the lucky day where we were dancing on only two vulcanos there. The Mullahs and Mr. Ahmadinejad have clearly to do some hard home work to keep the domestic situation under control (which is not an easy task, especially considering the demographic pyramid) and for this a retorically well orchestrated screenplay did not miss the intended effect of expanding the sphere of influence in the region (should this be considered illegitimate since the counterpart also does it). In my opinion, Iran is not the real hot patato in the basket except for the main stream media coverage in the first world. P.S. could someone explain me, why Iran should not have his little toy, since so many in the region directly or inderectly already have it (and none of of them are democracies in the sense of the commonly applied concepts? Do you really believe that it would be a good idea to add Iran to the nuclear club? Have lived and worked in Saudi Arabia, Kuwait and the United Arab Emirates. Not sure you realize how much problems Iran is causing in the region? Bush senior was right when he left Saddam in place since he considered the Mullahs a greater treat. As long as Saddam was in power the Iranians were careful since they believed he had nuclear power. Now Bush junior has removed Saddam and consequently Iran is not afraid of doing whatever they please. The Mullahs have become the new Saddam as a result. If Israel strikes a suspect nuclear facility they could for instance block the Strait of Hormuz. Don't need to tell you what that would do to the world economy by raising oil prices, which would be an added benefit for Iran. Don't get me wrong, I was no friend of Saddam and his regime. But now we have another "Saddam'" in the form of the Mullahs & Ahmadinejad in Iran. Do I need to remind you how many wars Saddam started? By the way do you realize what a big issue the conflict between Pakistan and India, notably Kashmir is? Could Pakistan handle more than that? Doubtful, isn't it. In the reports on the Iran issue, I've never been able to find out clear argumentation and justification for the "jus ad bellum" if someone shoud decide to glorify himself with a so called preemptive strike on Iran. One must be really desperate to again blow away the gas station just in front of his home door as already seen in the region. My experience visiting this part of the world simply learnt me that there "what you see, or belive to see is always only a reflection of a mirror". Go to the souks, observe and you will understand. In my opinion, the real hyper-hot issue in the region is Pakistan, already owning some powerfull firework. Maybe, or maybe I should say, hopefully. Would you be surprised if you woke up one morning and Israel had hit suspected nuclear sites? I'm sure they are ready to do so with one minutes notice if necessary. We often misjudge the Mullah's motives. Nobody understood what Khomeini was up to until it was too late, the West even helped him. Maybe, or maybe I should say, hopefully. Would you be surprised if you woke up one morning and Israel had hit suspected nuclear sites? I'm sure they are ready to do so with one minutes notice if necessary. We often misjudge the Mullah's motives. Nobody understood what Khomeini was up to until it was too late, the West even helped him.